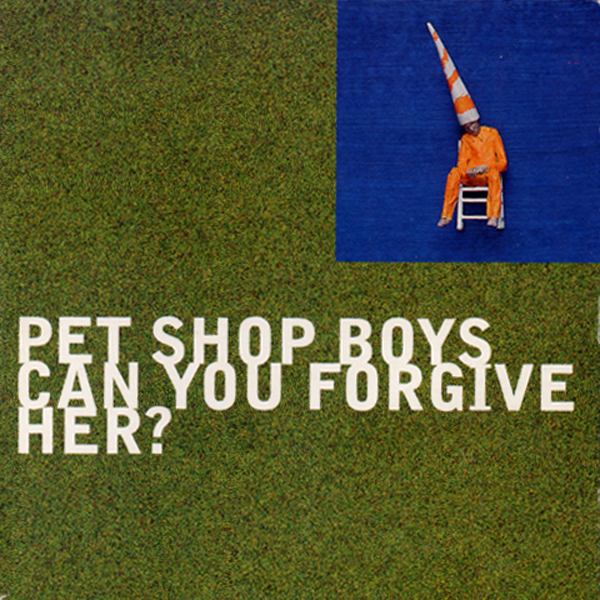 A single, 'Can you forgive her? ', is released on June 1st. The song, which takes its title from a novel by Anthony Trollope, "is a sort of a short story. It starts with a man being awake in the night, and he can't get to sleep because he's been made a fool of by his girlfriend, who thinks he's not masculine enough. In the first verse he's embarrassed and annoyed at his girlfriend. In the second one he reveals that the girlfriend thinks he's a complete wimp, even in bed. Then in the third verse he goes back in time to his first sexual experience at school, and you realize that he's gay but can't face up to the fact". 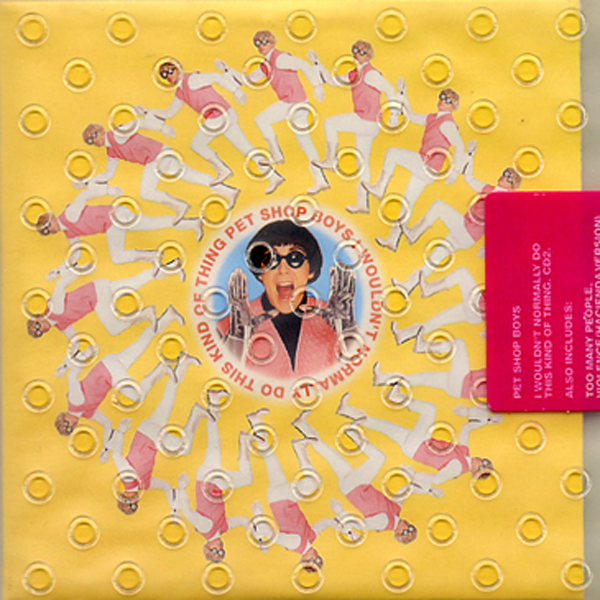 For the accompanying photographs and video, the Pet Shop Boys appear in orange body suits and dunces caps designed by David Fielding, who designed the 1991 Performance Tour. "We wanted to do something that is the opposite of what everyone else is doing", Neil explains, "Everyone else is being real, so we're being artificial". The Pet Shop Boys travel to Moscow for the opening of MTV Russia, "We had to cut a log in half", explains Neil, "live on Russian television to officially open it". 'Go West' is released as a single on September 6th. It is the song they originally chose to cover at their Hacienda concert the previous year. "I was at home in my flat", recalls Chris, "playing, as I often do, The Village People's Greatest Hits album and I though 'Go West' would be a good song to play at a Derek Jarman event, a song about an idealistic, gay utopia. And I knew that the way Neil would sing it would make it sound hopeless; you've got these inspiring lyrics but it sounds like it's never going to be achieved". The video, which combines footage filmed in Moscow's Red Square with an oblique tribute to A Matter of Life And Death, finds them in a new set of costumes: Neil in blue, Chris in yellow, and both of them wearing blue-and-yellow domes on their heads. A new Pet Shop Boys album, 'Very', is released on September 27th. It is produced by the Pet Shop Boys, with additional production by Stephen Hague, and is mixed by Stephen Hague and Mike 'Spike' Drake. "It is called Very", says Neil, "because it is Very Pet Shop Boys: It's very up, it's very hi-energy, it's very romantic, it's very sad, it's very pop, it's very danceable, and some of it is very funny…". At the same time as they recorded 'Very', the Pet Shop Boys also recorded six further songs which they describe as "non structured" and which appear as a limited edition accompanying 'Very'. This second album is titled 'Relentless', "because", Neil explains, "it is". On October 24th the Pet Shop Boys appear at the London Palladium as part of The Equality Show, a benefit as part of Stonewall's campaign to equalize the age of consent for gay and heterosexual people in Britain. They are introduced on stage by Boy George and Janet Street-Porter, and perform four songs: 'Can you forgive her? ', 'To speak is a sin', 'One in a million' (incorporating Culture Beat's 'Mr. Vain') and 'Go West'. For the final song they are joined by the London Gay Men's Choir. 'I wouldn't normally do this kind of thing' is released as a single on November 15th. The single version, remixed by the Beatmasters, is radically different to the album version: longer, more epic and more upbeat. In the accompanying videos they wear new costumes (pink and white for Chris, pink and black for Neil) and sixties wigs, and they do things they wouldn't normally do. "The song itself", says Neil, "is about a reserved Englishman falling in love and going bonkers. He decides he couldn't care less anymore, and throws caution to the wind. It's a funny song, but it's sincere. I'm so bored with people seeing us as ironic that I'm quite keen on being sincere at the moment". 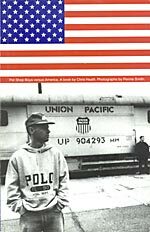 On November 4th, 'Pet Shop Boys versus America', a book detailing their 1991 tour, written by Chris Heath with photographs by Pennie Smith, is published. A video is released of all the films Derek Jarman has made as backdrops to live Pet Shop Boys performances, both for their 1989 tour and their 1993 Hacienda performance. It is called 'Projections'.